Shade may vary slightly in color due to computer, monitor & phone settings, and lighting conditions when pictures were taken. in Party Hop Shade (Bluish Purple Color). 100% Genuine & Authentic - not a copy or fake; item was received direct from the manufacturer. 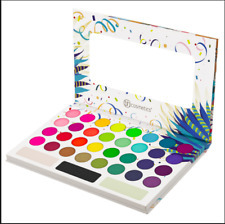 New ListingAUTHENTIC BH Cosmetics 35 Color TAKE ME BACK TO BRAZIL Rio EyeShadow Palette! AUTHENTIC BH Cosmetics 35 Color TAKE ME BACK TO BRAZIL Rio EyeShadow Palette!. Condition is New. Shipped with USPS Priority Mail. 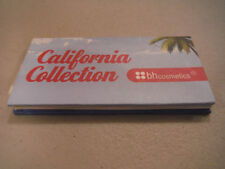 5 out of 5 stars - AUTHENTIC BH Cosmetics 35 Color TAKE ME BACK TO BRAZIL Rio EyeShadow Palette! 6 product ratings6 product ratings - AUTHENTIC BH Cosmetics 35 Color TAKE ME BACK TO BRAZIL Rio EyeShadow Palette! 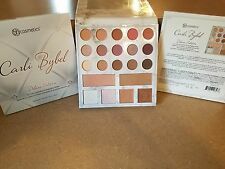 BH COSMETICS ROYAL AFFAIR 20 COLOR SHADOW PALETTE NEW WITHOUT BOX. Condition is New. Shipped with USPS First Class Package. "Gross, who wants old makeup?". - says everybody on the face of this planet. BH Cosmetics - SOLAR FLARE - PALETTE 18 Color BAKED Eye SHADOW. Condition is New. Shipped with USPS Priority Mail.